Eight specimens for easy comparison. 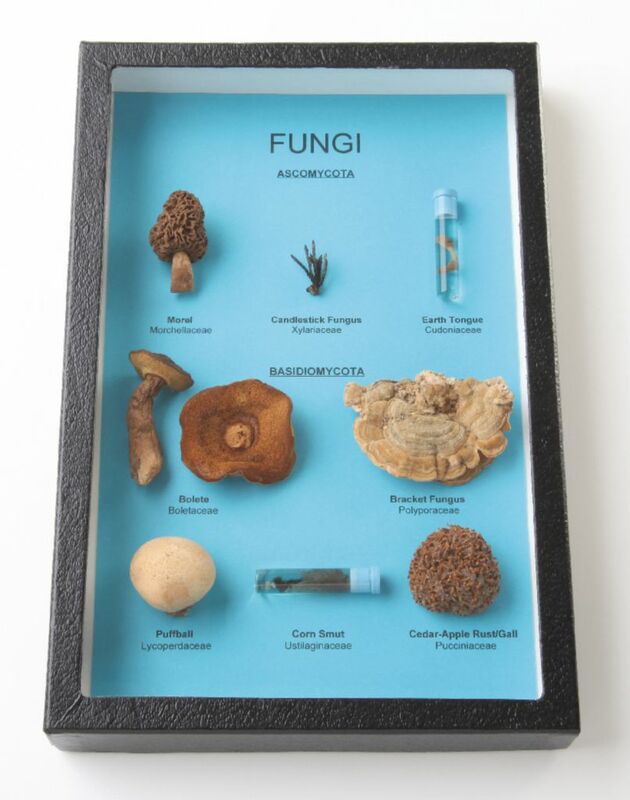 Explore the Kingdom Fungi with this exhibit of specimens representing both the Ascomycota and Basidiomycota. Dry specimens have been professionally prepared through freeze-drying and each is labeled by common name and the family it represents. Specimens may vary with availability.